Create magic this Valentine’s with our enchanting Valentine bouquet. Hand-crafted by our expert designers, this abundant gathering of rich reds, passionate purples and pinks will work like a charm to impress that special someone. 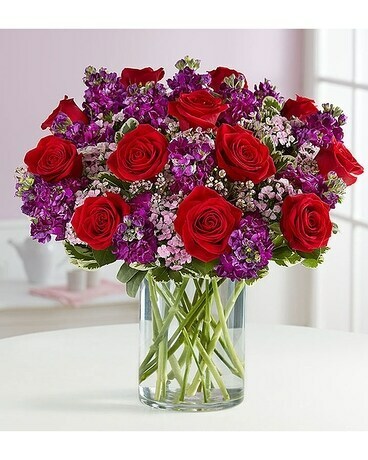 All-around arrangement of red roses, pink dianthus and waxflower, purple stock, and assorted greenery.